THE FILM PATROL: ‘Ben’ vs. ‘Ten’ – and the winner is . . .
‘Ben’ vs. ‘Ten’ – and the winner is . . . 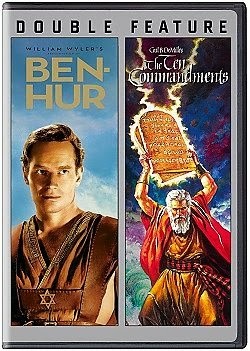 When we first conceived of an epic double-feature showdown of Charlton Heston’s religious masterpieces, “Ben-Hur” and “The Ten Commandments,” the indifference was contagious. However, for those not a-nod, our first-year-ever results are in. 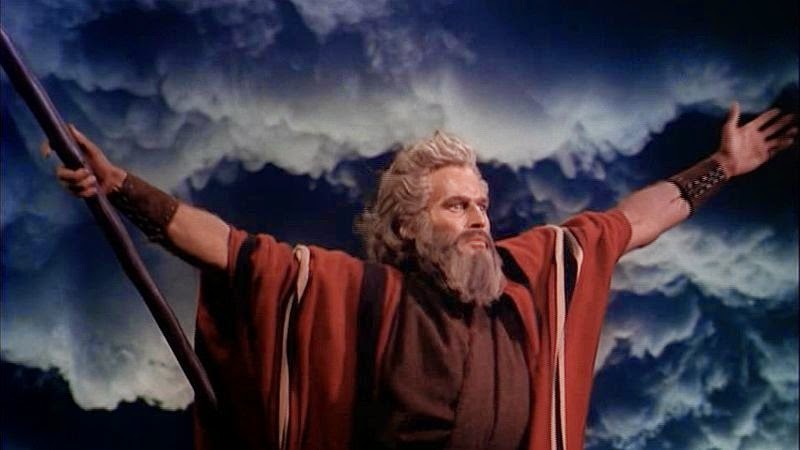 Due to being the kind of people who used to faithfully crowd in front of the screen every spring for “The Wizard of Oz” on CBS, we grew up watching and memorizing and acting out “The Ten Commandments” as Passovers flew by. (Here’s a much longer piece about Cecil B. DeMille’s final throe of splendid excess.) Screening “Ben-Hur” as well was tough, but we made it. A few of us made it. By golly. CHARIOTS. Both have tons of them. 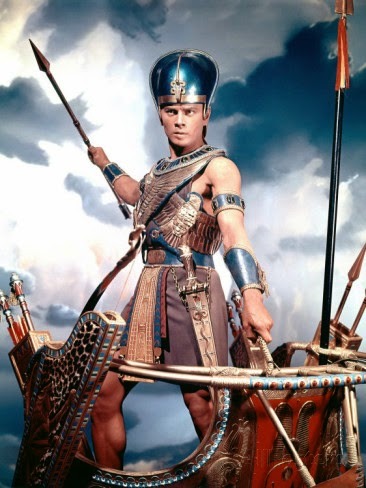 “Ben” wins on this one, of course, due to the chariot race – although I LOVE Pharaoh’s special Chariot Hat. Want one. RAW CHUCK. He gets all slavey and half-nekkid and greased up in both films. 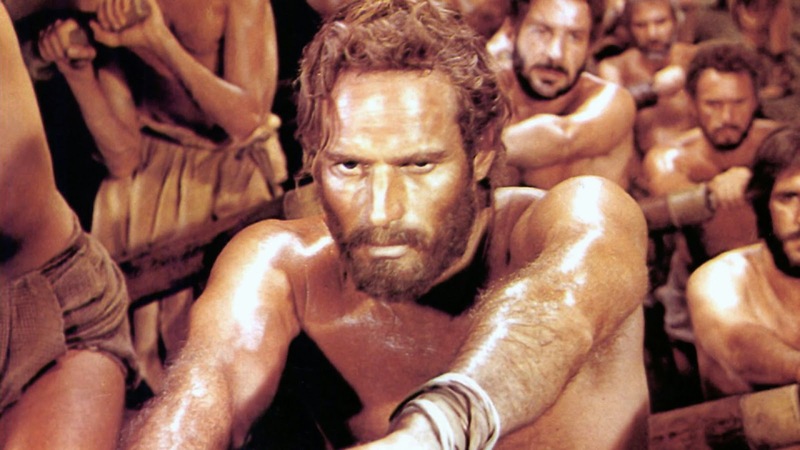 “Ben” wins again; in that state Moses just gets to suffer a while, then kill Baka the master builder, but Ben-Hur gets to row for three years without a sabbatical, choke a guard, save a bunch of poor starving rower-bro’s, AND hit a guy in the head with a chain. THE MARTHA SCOTT FACTOR: She plays Chuckles's mom in both films. Even though she drags her leprous carcass through most of “Ben,” and doesn’t even make to intermission in “Ten,” her suffering as Yochabel (“My lips might deny him, Great One, but my eyes never could”) is much more up-front and affecting. RELIGIOUS FRENZY: Wyler went for broke on the Crucifixion. (As he himself so humbly said, "It took a Jew to make a good movie about Christ.") There is an incredible throwaway move in "Ben" that I'm unable to find a visual referent for currently -- when the camera pans down and a reversed reflection of Christ on the Cross is caught in a muddy puddle, for one agonizing moment . . . I still pee my pants a little when I see it. However, can you beat the Burning Bush and the Parting of the Red Sea? Nah. “Ten,” again. TIEBREAKER: WHO’S YOUR BUDDY? Like we said, Jesus is Ben-Hur’s buddy, and through him Judah gets it all – revenge, healing, forgiveness, his hidden fortune. . nice. HOWEVER, points and match to Moses! He is Jesus’s Dad’s golfing buddy, his sidekick, his buen amigo. Jesus saves, but God kills nations. Double high five, Moses.